Yoga Prema offers an inspirational and comprehensive yoga training course which is deeply rooted in the tradition of yoga. We have trained more than 400 yoga teachers to date... you can rest assured of being supported by a strong and experienced teaching team. The course provides the first stepping stone in your teaching journey and qualifies you to begin teaching yoga professionally. Our training offers a deep and often life changing experience whether you are looking to share the teachings of yoga and inspire others, or simply deepen your practice, knowledge and understanding. 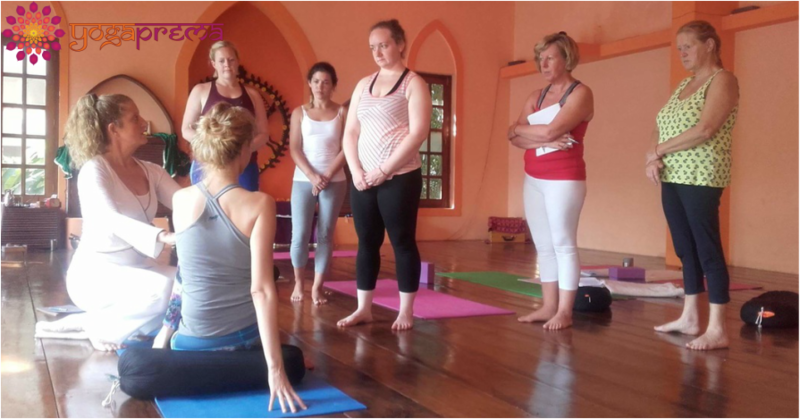 Our Yoga Teacher Training school has met the stringent requirements set by Yoga Alliance Professionals, demonstrating that our courses are of the highest standard and that our graduates are eligible to register with Yoga Alliance Professionals. We teach traditional hatha yoga giving you a solid foundation from which you will develop your teaching skills and methods. We explore through study and practice, an inspirational integral system including all paths of yoga;, Hatha, Raja, Bhakti, Karma and Jnana. Although there are different paths, their essence all weave together to form one golden thread... Our teaching inspiration for hatha yoga comes from the traditions of Sivananda and Iyengar. 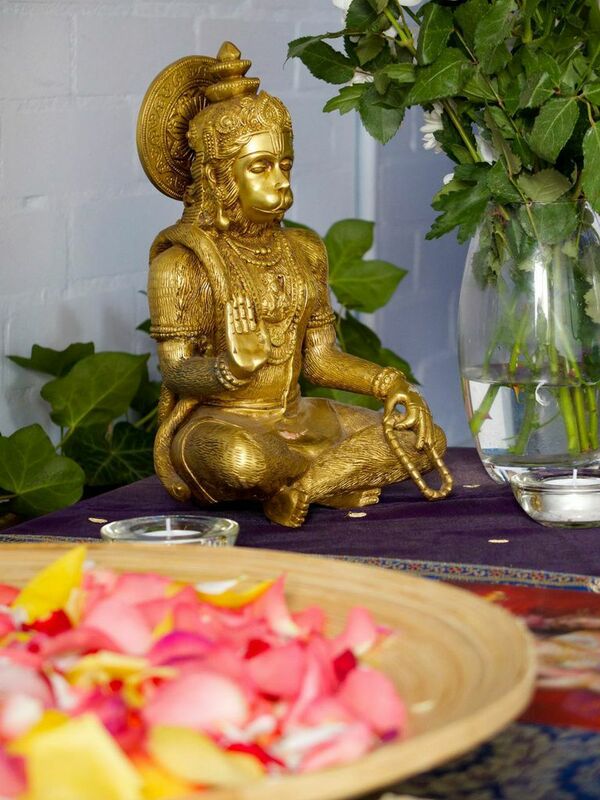 Bhakti yoga adds sweetness to the practice and connects us to the spiritual heart and divine love. The course delivers a comprehensive and tranformative programme encompassing the full spectrum of yoga. It is a commitment to developing a strong personal practice, to cultivating sadhana and from this platform, consciously sharing the beauty, knowledge and science of yoga to others. The course content exceeds the 200 hour minimum hours. This is a genuine course with genuine teachers. Their love and support doesn't end just because the course has. This is just the beginning and I know my new family are there to guide and support me in everything I do in the future." Guest teachers will be sharing their expert knowledge in their particular field. Lila will be supported by assistant teachers and guest teachers for Hatha Yoga. 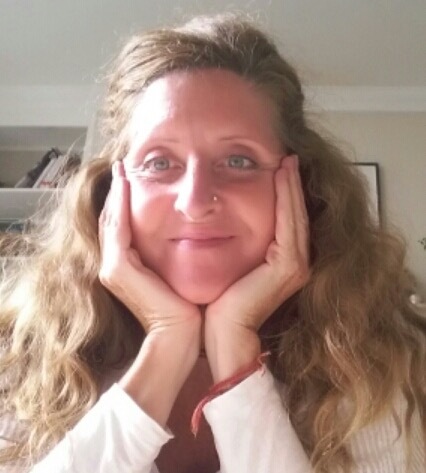 Bhagavad Gita will be taught by Ranchor Prime and Anatomy & Physiology / Ayurveda - Ariadna Landman will share her vast expertise in Anatomy & Physiology, Ayurveda and nutrition. Elahn Keshava will also teach some aspects of Yoga Philosophy and Kirtan. A qualified, sincere and experienced teaching faculty. It is important to us that our teachers embody the teachings and live according to the principles of yoga. Home practice. You will be receive a personal practice diary to maintain throughout the course. This will help you to establish your own practice in meditation, yoga asana, pranayama, kriyas and devotional practices such as chanting. There will be 'homework' assignments after each module including written summaries, reading or practical exercises. Homework is part of your ongoing assessment throughout the course. There is approximately 15-20 hours between each module. Graduation Ceremony at the concusion of the course. 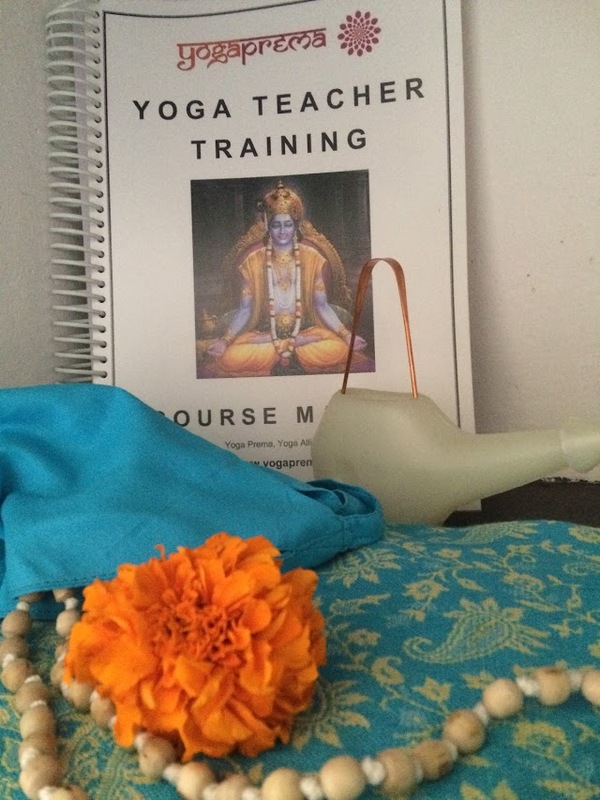 Upon successful graduation you will receive a Teaching Dipoloma, qualifying you to teach yoga professionally and become a member of Yoga Alliance UK. Attendance, punctuality and full participation in the program is Mandatory. Home assignments, home practice are part of the course assessment. This will include written summaries of classes/lectures, home practice of asana, pranayama and meditation. Location: We are now holding the training at Shekinah Yoga Retreat in Glastonbury... we feel that the environment is more conducive to the immersion and training... Glastonbury is a legendary town, said to be one of the most sacred places within the UK. The ashram is in a peaceful and beautiful setting, with fields behind leading to the pilgrimage site of the Tor. Chalice Well and the Abbey are also just a short walk away. Glastonbury is only a 45 minute drive from Bristol or Bath and has a regular bus service from Bristol. The ashram is just a 5 minute walk from the bus stop. The nearest train station is Castle Cary and we are happy to help in arranging pickup/drop off from train station and lift share in general. Course Dates: There are eight 'ashram experience' modules that are over three days (Friday - Sunday). Please note on the first module, arrival is on Thursday 19th September for our course introduction at 7pm. Please read our terms and conditions and then complete an application form by clicking on the button below. Lila will then be in touch to follow up with your application. To ensure that you receive the support and guidance that you need, we will only accept 14 participants on the course.... it is therefore advisable to submit your application at the earliest to avoid disappointment. Bookings must be made before 1st August 2019. Once your application has been accepted, a non-refundable deposit of £400 is required to secure your place. It is possible to pay in instalments and we are happy to discuss this with you. The full amount is due four weeks before the course start date. We offer a 20% discount on all of Lila's regular classes and workshops (that are outside of the training) for the duration of the course.